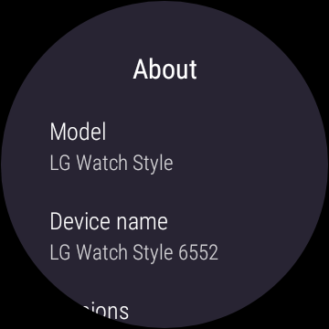 Oreo is now rolling out to the LG Watch Style, according to reports on the Android Wear subreddit and emails we have received. Thanks to Pavel for the screenshots! 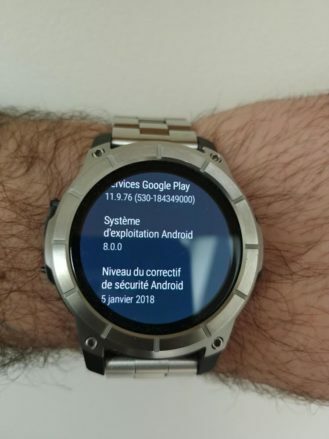 The Nixon Mission is now receiving Android 8.0 Oreo. Thanks Tommy for the picture! The Misfit Vapor is next to receive the update. Thanks to Oliver for the tip. As the name implies, Android Wear is simply a variation of Android specifically tailored to smartwatches. This year's Wear 2.0 update ran on top of Android 7.0 Nougat, and while some components can be updated through the Play Store, the underlying system can only be updated through normal OTAs. 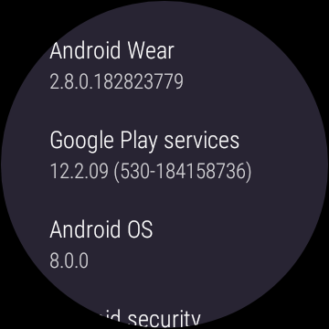 Some of the watches dropped from support include the ASUS ZenWatch 2 and 3, the original Fossil Q Founder, the LG G Watch R/Urbane/Urbane LTE, the second-gen Moto 360 and 360 Sport, and the original Huawei Watch. 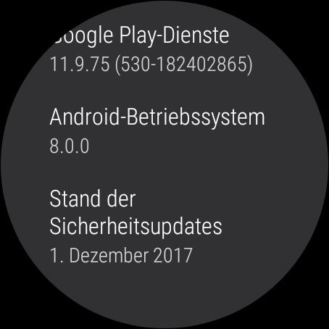 Those watches will continue to get Android Wear updates (like the recent v2.6 update) through the Play Store, but the underlying Android version will be stuck on Nougat. 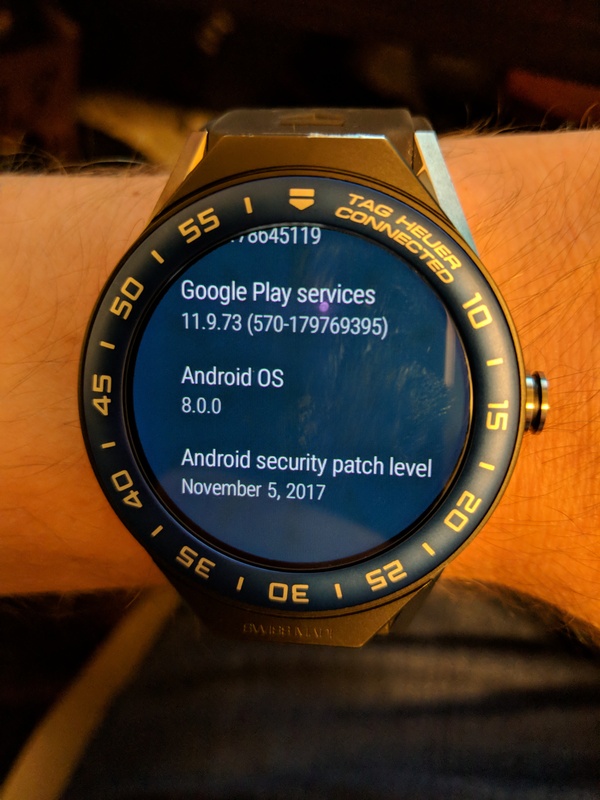 Google has updated the list as the update has become available for four more watches. They are the Hugo BOSS BOSS Touch, Movado Connect, Tommy Hilfiger 24/7 You, and Guess Connect. Curiously, the Gc Connect which was waiting for the update has been removed from the list altogether. Perhaps it was an erroneous inclusion in the first place. 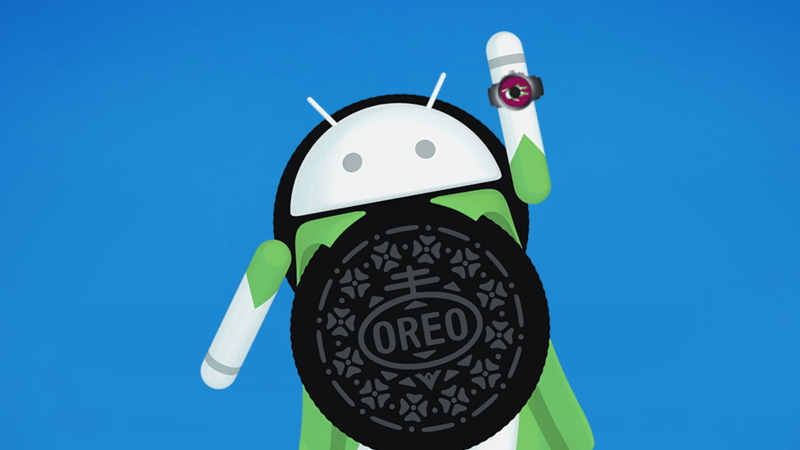 The list has been updated yet again, and a few more watches now have Android 8.0 Oreo. These include the Fossil Q Founder 2.0, Fossil Q Marshal, Fossil Q Wander, Michael Kors Access Bradshaw, and Michael Kors Access Dylan. The Gc Connect has been re-added to the list as well. You can find the full updated list at the source link below. Thanks Jonathan for the picture!